First of all I need to mention that I’m not the utmost Rush fan. There’s something about their style that just doesn’t seem right. Still, Rush is a band highly appreciated by many, so I thought I needed to get over it and have a listen to their albums. 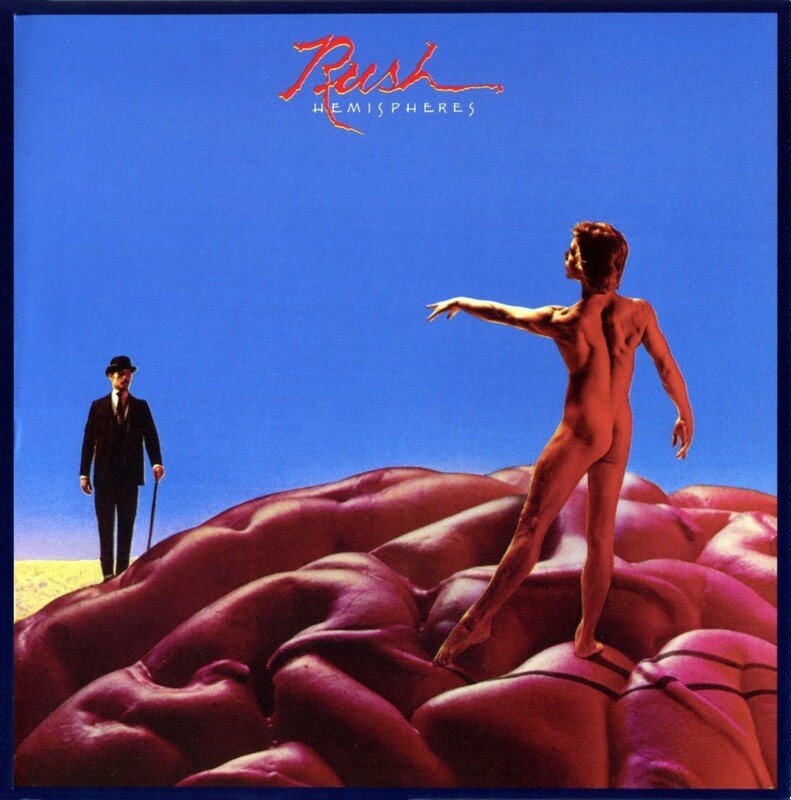 As I sail through the years, I’ll try to understand whether there is actually something wrong with Rush, or whether there is just something wrong with me. 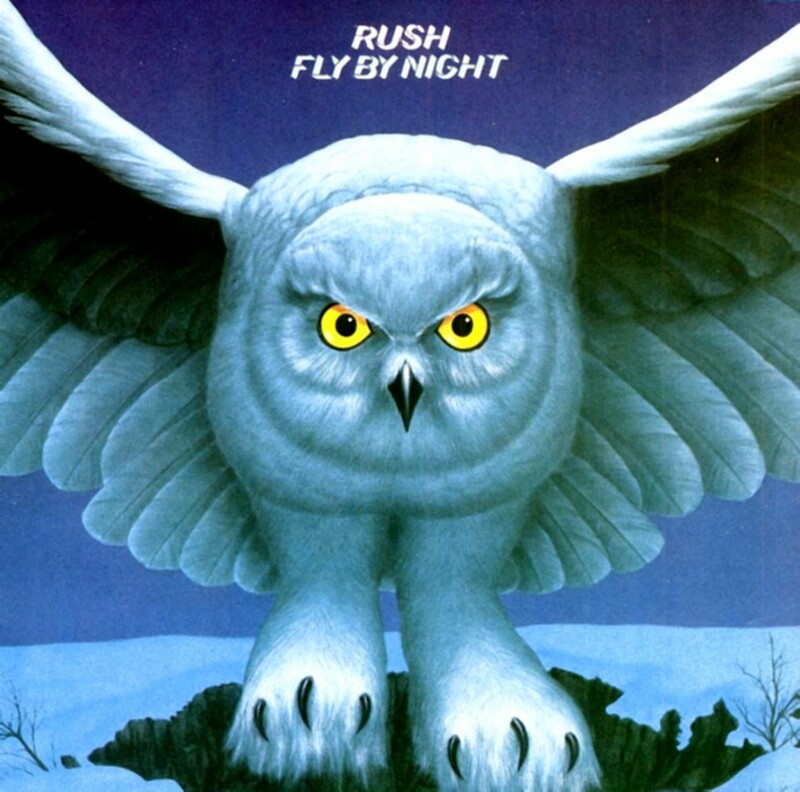 What may have spawned that feeling is that Rush seem to have a quite distinguishable style, and their sound is different from that of the other bands. Therefore it might be easy to take a stance for or against this band. This is the first album by Rush, way before they went prog. The album starts with a driving piece, Finding My Way, perhaps the best song of the album. This blues drive continues then throughout the album, and the songs feel connected to each other — even though this is no concept album — and good mood is in the air. The Led Zeppelin influence seems evident, yet they fail to get close to Zeppelin‘s level of mastery. The guitar solos are ok, but they could have been much better, and the compositions miss that particular “hook” phrase to be remembered by. Anyway, there’s nothing particularly dissatisfying with their first album, although there’s no song that would really stand out either. In this album the rising progginess can be heard right away in Anthem. As their first work was quite straightforward and not particularly interesting musically, I like how this album features more complex and entertaining guitar riffs. By Tor & The Snow Dog is their first song that could count as progressive, consisting of different parts and lasting for over 8 minutes, featuring nice stops and changes of pace, showing a glimple of the true potential the band possessed. Yet not all of the songs are quite that accomplished. The song by which the album was named, Fly By Night, meeked in comparison with the preceeding epic. Making Memories seemed more like a modern rock dilemma, something you end up listening to because there’s nothing better on the radio. I also appreciate the effort of making tribute to Tolkien with their song Rivendell, and the lyrics are fine too, but just a bunch of picked chords doesn’t cut it for a tune. And In The End came the outrageous mass-oriented whining I hate the most. All in all, the feeling I got from listening to Fly By Night didn’t match their debut album. This album starts off a good foot with Bastille Day. The riff feels interesting but not too intimidating. I Think I’m Going Bald sounds just right, and the passages might be something that Zeppelin themselves would love to play. And with that I would say it’s their best song so far. But that was only until The Necromancer came along, a 12 minute epic, which they managed to keep sounding grave and stylish. In my opinion it could have used a little more decoration in the beginning, and the fast guitar solo in the middle stopped way too suddenly, but that is fine. The progginess unexpectedly continues with The Fountain Of Lamneth, an even longer, 20 minute piece, which finally brings out the true colours of the band. It’s still partly very simple for my taste, the drum solo could have been better, and slow piece the fourth part of the epic, Panacea, is not exactly what I liked to hear, but far better in comparison to Rivendell, a similar piece in their previous album. Moreover, the six parts of the epic don’t fuse with each other but fade out before the next part, kind of slicing the song into little pieces. But those were all quite a trifle — all in all I enjoyed this work. This album begins with 2112, the first piece I got to know Rush by. The beginning grabs the listener in right away, and doesn’t leave place for second thoughts. It’s great to see the band grow this much from their first proggy try-outs in Caress of Steel. Rush are more experimental than ever, the stops between the parts don’t feel too rushed (what a pun!) and even the solos fall right. 2112 is a true work of art. Even judging by the rest of the songs on the album, Rush have become far more polished since their debut, especially their guitar solos have improved. A Passage to Bangkok is a goofy song, but it features tasty riffs, and has that “hook” to be remembered by. The Twilight Zone has become another favourite of mine, the whispering into the left ear works, and the band manages to create an eerie atmosphere. Sadly Tears fall into the same category with Rivendell and kind of ruin the whole mood, so I’m forced to only give 4/5 to this album. A Farewell to Kings begins, well… With A Farewell to Kings. And with A Farewell to Kings thou canst see and hear how much, much better their guitar solos have become. The next ten-minute piece Xanadu also shows Rush have matured and continue to uphold the level they’ve achieved in 2112, or perhaps have gone even further. Closer to the Heart first starts like any other wimpy love song, but that mistake gets corrected along the way. Cinderella Man is nothing supreme, but demonstrates once again that Rush can handle those guitar solos now. Madrigal sounds just like in could be a part of the 2112 epic, so with nothing new to be heard there, I proclaim it to be the worst piece of the album. 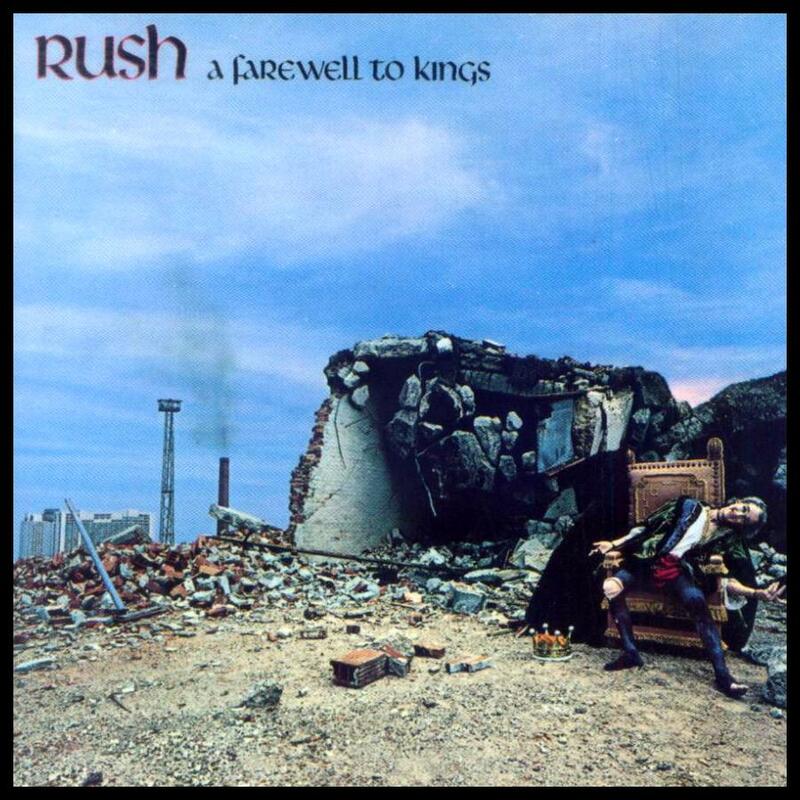 Otherwise this A Farewell to Kings was highly satisfactory, and the best one by Rush so far, ending with an amazing first “book” of Cygnus X-1, just to be continued with “Book II” in their next album, Hemispheres. What differs this Rush album (and partially A Farewell to Kings as well) from their earlier work is the variety of sounds they produce. Of course, that variety is not even close to the 40 instruments used by Gentle Giant in their album Acquiring the Taste, but the amount of sounds Rush use here provides them with a richer, more mesmerising sound. Book II of Cygnus is followed by Circumstances, a wonderfully powerful song, then The Trees the have charmed my soul (“There is unrest in the forest”… love that rhyme), and finally La Villa Strangiato, a mesmerizing instrumental that has been one of my favourites for a long time already. This album doesn’t have anything that would displease me, and I know this sounds too good too be true, but this album deserves my full mark, and I’m happy to contribute to this little fairytale of a band slowly but steadily rising towards perfection. So, what can I say about Rush in the end? I can say that I was wrong. They are a worthy band, and it seems like I had previously only stumbled upon their lesser, early works. I can’t wait to continue with Part II of their albums, especially Moving Pictures that is considered to be the peak of their age. Oh, and there are the Permanent Waves in between too. This should be grand! Read the second part of the Rush reviews here.